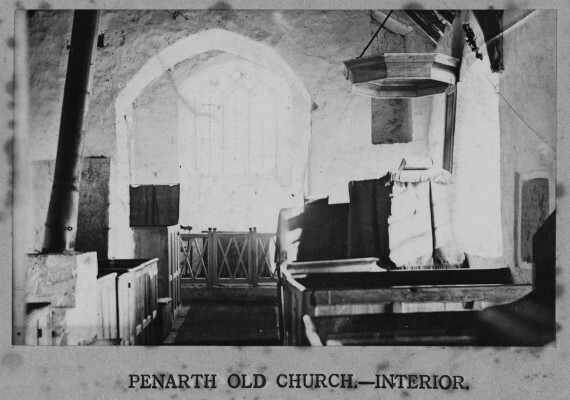 A church was built in Penarth Head in 12th century. It was dedicated to St Augustine of Hippo. By the mid-nineteenth century it has been serving the hamlet of Penarth (which in 1801 still had only 72 inhabitants) for over seven centuries. 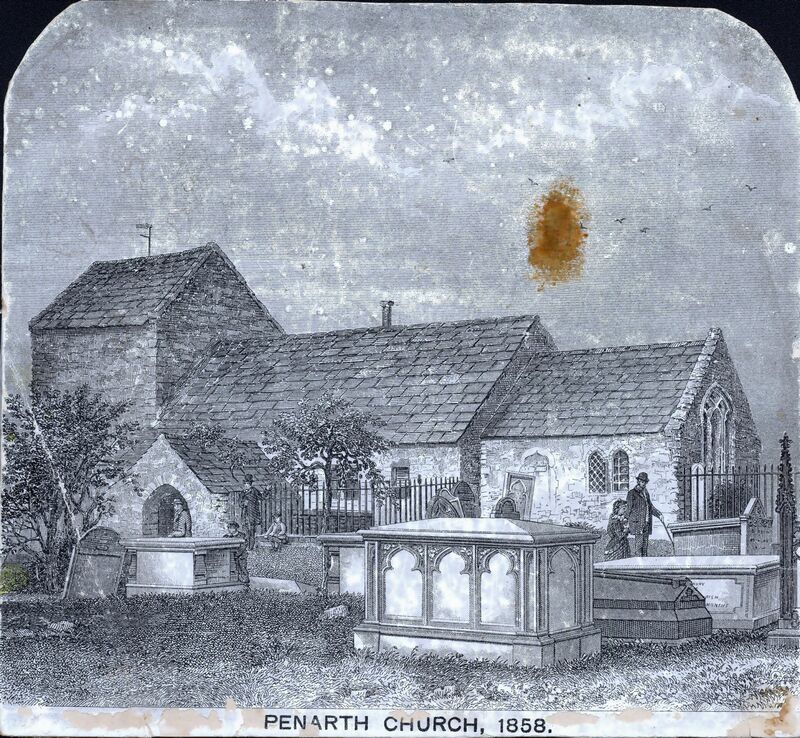 It was, however, a very small church and, by 1855 when Penarth Docks were built, the population had increased vastly due to the coal boom and the old church was no longer suitable. 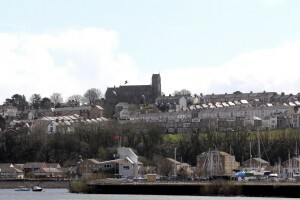 Lady Windsor (a member of the Windsor family who were ground landlords of Penarth) had the old church demolished and commissioned William Butterfield, the fashionable Gothic Revival architect from London, to produce something spectacular for this now confident and flourishing town. 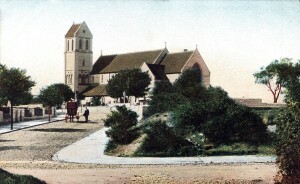 St Augustine’s is regarded as one of Butterfield’s finest buildings, dominating Penarth and Cardiff Bay as it does from its vantage-point on Penarth Head, and hiding within it one of the most spectacular church interiors to be produced the nineteenth century. 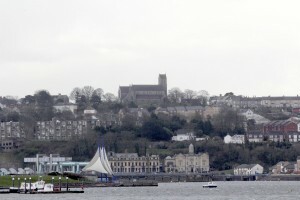 The are several ideas about how this nickname originated – some think it is because St Augustine’s is at the top of the hill. Some people used to think of St Augustine’s as being where the ‘top people’ worshipped, but however this name came about, the following facts would probably earn it the accolade of ‘Top Church’ anywhere! 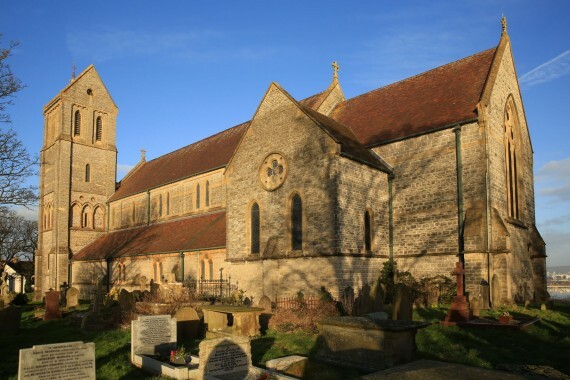 St Augustine’s is regarded as one of the best buildings by famous Victorian architect, William Butterfield. 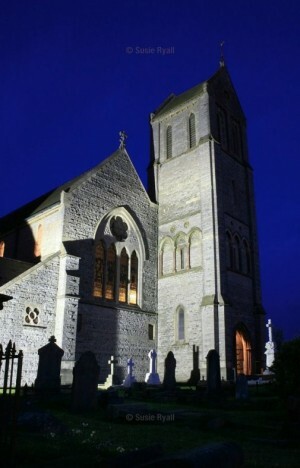 St Augustine’s is Penarth’s only Grade 1 listed building. The William Hill organ, built in 1895, is known as the best of its kind in the UK. St Augustine’s is home to Penarth’s beautiful Arts and Crafts Roll of Honour. 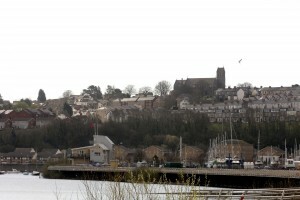 St Augustine’s is a remarkable landmark – particularly to sailors who have used it as a seamark for generations.